We need a Wednesday feel good story and this is a terrific one! Anna Weeber suffered frequent headaches since she was 16 years old. Now she's 26 weeks pregnant, 27 years old and this headache is unlike any she's ever had in the past. The doctor who took on Anna's case had a pregnant wife the same age and was 24 weeks pregnant. Dr. Singer said that 50 percent of patients with Anna's case don't even make it to the hospital alive and of the 50 percent of those patients that do survive, 30 - 50 percent don't recover to their previous level of health and function. See below for details of Anna and her baby’s survival. Anna Weeber was getting dressed for a bike ride with her husband and 2-year-old son, Declan, one September afternoon last fall when she was struck by a blinding headache. The 27-year-old mom had suffered from frequent headaches – about three times a week since she was 16, she says – but this was a completely new level of agony. The pain was so intense that she began sweating and vomiting. Then, as her husband Nate called 911, the Zeeland, Michigan, mom realized she couldn’t move the left side of her body. “From that moment on, I don’t remember anything,” she says. An ambulance arrived and Anna was rushed to the nearest hospital, where a CT scan identified a ruptured brain aneurysm. An aneurysm is a ballooning of a blood vessel in the brain. When an aneurysm ruptures it releases blood into the spaces around the brain, which can cause a life-threatening stroke. After Anna’s aneurysm was identified, she was rushed to Spectrum Health where she was treated by Dr. Singer. Singer says he felt deeply affected by Anna’s case, as she is about the same age as his wife, who was 24 weeks pregnant at the time. By the time Anna reached Dr. Singer, she was lucky to be alive – but still in a condition that threatened not just her life, but also the life of her unborn child. A maternal fetal specialist joined the case and together Anna’s medical team and family decided that a brain surgery to insert a clip that would isolate the aneurysm from the circulatory system so it could be removed was the best treatment option. While Anna was in surgery, Nate continued to ask for prayers on Facebook, as he had been doing since the first ambulance ride. “Hundreds if not thousands of people started praying for us all around the world,” Anna says. Twenty hours after the nightmarish episode began Anna emerged from the successful surgery. After a day and night of worrying that Anna could suffer lasting effects from the stroke, Nate was elated to find that “she was completely back to herself,” the 33-year-old says. Anna remained in the hospital so that doctors could look out for vasospasms, a common complication of a brain aneurysm that limits blood flow within the brain and can cause stroke-like symptoms, paralysis or death. Anna was treated for severe vasospasms and after 18 days she was released from the hospital. “It was so good to be home with our little family again we finally went apple picking and all of the normal fun fall activities,” she says. 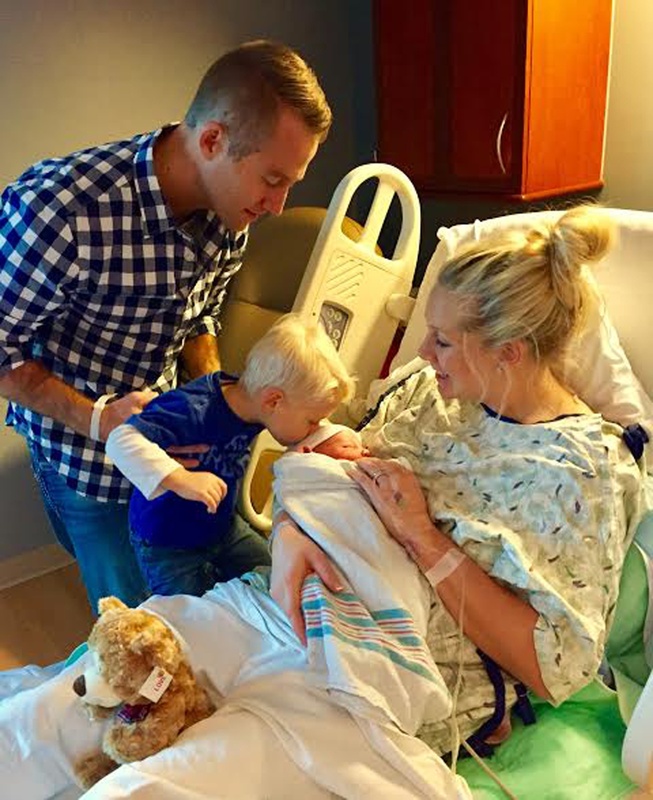 The rest of the pregnancy went smoothly and on December 30, Anna and Nate welcomed a healthy baby boy they named Hudson. 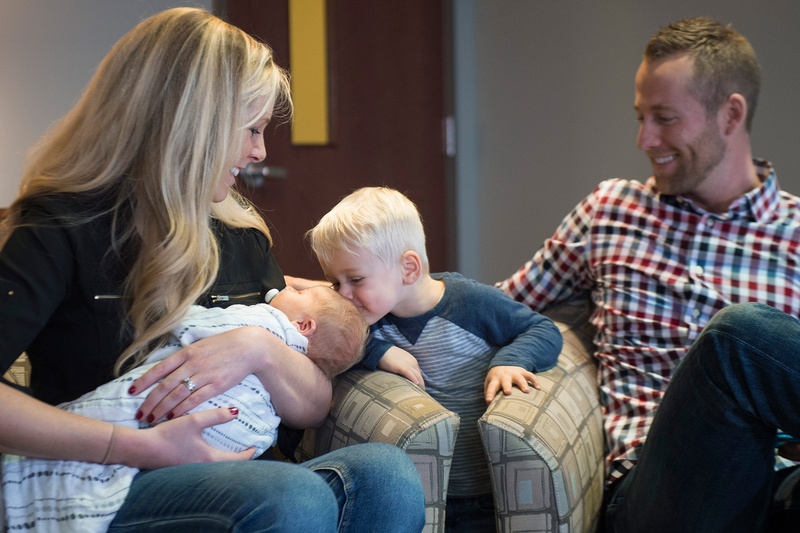 “We were just praying that Hudson wouldn’t suffer any effects from the surgery and as far as we can tell he is one perfectly health little boy,” she says. Still, Anna says she can’t help but feel overwhelmed with emotion when she thinks about all she and Hudson have been through together. Dr. Singer and his wife welcomed a baby girl they named Jordyn the following week and the two families have already gotten together for a play date. Despite the grim statistics, Anna has only discovered two changes since the surgery. She was thrilled to find that her headaches stopped completely, and less thrilled to learn she has begun snoring. All things considered, she says, even that feels like a blessing. “My husband is totally fine with the snoring considering that of all the possible outcomes I’m here and alive,” she says.